You send curiosity, but doesn't show. Your heart breaks, but no one knows. He sees you, but walks away. You grab the gun and pull the trigger. What am I? 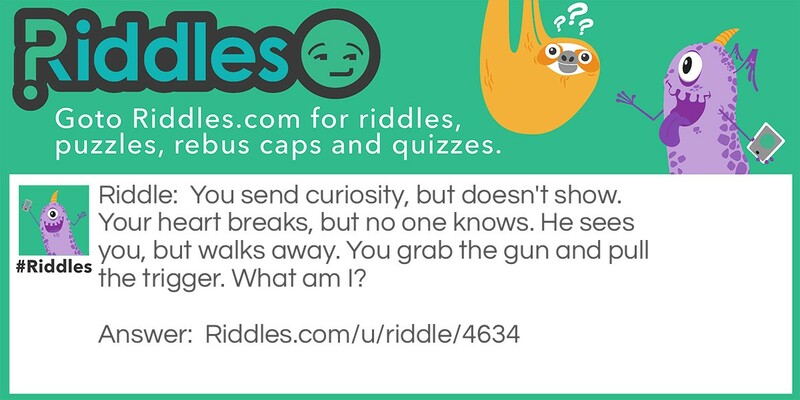 Heart breaks Riddle Meme with riddle and answer page link.